Burglars ransacked a house in the Kilfennan area on Tuesday night, rifling cupboards, invading rooms and placing a bar stool up against a door handle, presumably to prevent it from being opened unexpectedly. The incident occurred in Tamworth Crescent. 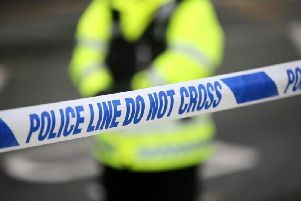 The Police Service of Northern Ireland (PSNI) are appealing for information following the break-in. Constable McGuinness, the investigating officer, said residents returned to their home at Tamworth Crescent at about 9.30pm on Tuesday, October 20, to find it had been entered in their absence. “The front bedroom had been ransacked and a sum of money was taken. Police believe the intruders got in via the back door but left via the front. Constable McGuinness explained: “The door was opened by the owners and damage was observed to the white PVC, which appeared to be forced. The police want anyone who may have seen something unusual in the wider Kilfennan, Crescent Link and Woodburn area to come forward. Anyone who was in the area between 6.30pm and 9.30pm and saw suspicious activity is asked to contact police at Strand Road on the 101 non-emergency number quoting reference 1126 20/10/15. You can also supply information without revealing your personal details to the police service. Information can also be given to the Crimestoppers charity anonymously on 0800 555 111.